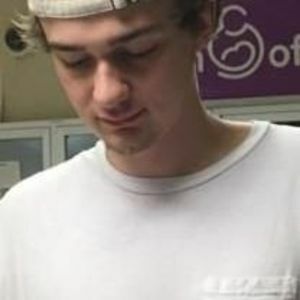 Jordan Cameron Maurer, 19, of Raleigh died on January 8, 2018. Jordan was a graduate of Lacy Elementary, Martin Middle, and Broughton High Schools. He was a member of the Broughton CAPS cross country and lacrosse teams. He was an avid chess player, skateboarder, surfer, and enjoyed the outdoors especially time spent at Topsail Island and Valle Crucis. He was a member of Hayes Barton United Methodist Church, where he attended the JOY Class and Methodist Youth Fellowship. He attended the SUWS Wilderness program in Asheville where he enjoyed camping and hiking. He also attended Elk Mountain Academy in Clark Fork, Idaho, where he enjoyed snowboarding and mountain motorsports. Jordan is survived by his mother, Jonna Winifred Lee, and father, Jeffrey Stuart Maurer, and sister, Josie Grace Maurer, all of Raleigh. He is also survived by many other family members, community members, and close friends. A celebration of life will be held on Thursday, January 11, 2018 at 10:00am at Hayes Barton United Methodist Church, 2209 Fairview Road, Raleigh, NC. The family will receive friends in the Fellowship Hall following the church service.